I’ve been taking a few more steps toward the whole blog extreme makeover thing. I’m super excited and nervous at the same time. It will be a couple of months before the big unveiling but I know that it’s going to be totally worth the wait. In the meantime, I’m in the very beginning stages of a couple of potential blog related projects. Will give more details later if it works out. Just know that I am super excited about them. Also, I’ve been trying to come up with some new columns to rotate with my Ab Fab Friday column, which I still very much enjoy doing. I really love curating things. Now here is where I need help from you, my lovely readers. What types of columns would you like to see on Fridays? Please leave your suggestions in the comments below. I look forward to hearing from ya’ll! In a food processor, grind together ½ cup sugar and ½ cup macadamia nuts until fine. Set aside. Roughly chop ¾ cup macadamia nuts. Set aside. In a large bowl, whisk eggs for a minute of two, until light and fluffy. Slowly whisk in ¼ cup of sugar. After sugar has been added, whisk thoroughly for another minute. Stir in heavy cream, milk, and vanilla. Add 1 cup of cream mixture to a small bowl. Add macadamia nut sugar mixture a ¼ cup at time, whisking thoroughly. Add macadamia nut and cream mixture back to the rest of the cream mixture. About 2-3 minutes before ice cream is done churning, add chopped macadamia nuts. 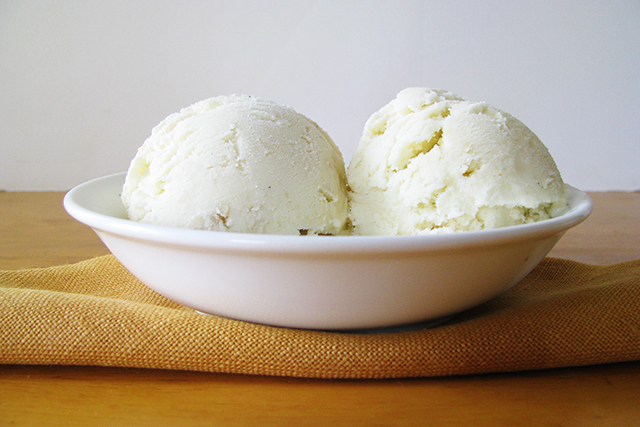 This entry was posted in Food and Drink and tagged blog, coulmns, ice cream, macadamia nut, recipe. Bookmark the permalink.